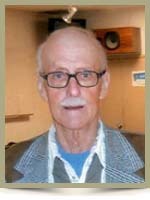 Mallett, Rudy Ernest, 74, of Mersey Point, Queens County, passed away after a 10 year battle with cancer, on Wednesday, April 3rd, 2013, in the Queens General Hospital, Liverpool. Born in Liverpool, he was a son of the late James and Waitie (MacLeod) Mallett. In 1956, Rudy joined the Royal Canadian Regiment (R.C.R.) as a paratrooper. He was stationed in London, Ontario before joining the Reserve Army in Liverpool in 1960. Rudy worked at Dofasco Steel Company in Hamilton, Ontario as an overhead crane operator for ten years before moving back to Nova Scotia in 1975 and building his home. He then went to work as a fisherman, fishing crab and lobster while also doing carpentry until retirement. He enjoyed whittling with a jackknife and sandpaper making many unique items out of wood. Rudy also enjoyed country and western music playing in a number of bands at many events over the years. He was a member of the Royal Canadian Legion, Mersey Branch #38, Liverpool, for many years. He was an avid Toronto Maple Leafs fan. He is survived by his loving wife, of over 50 years, the former Evelyn Greek; daughter Ruby (John) Bainbridge, of Hamilton Ontario; grandchildren Kaitlin, Calum; sisters Barbara LePierre, of Brockville, Ontario, Rosalie (Reginald) Clifford, of McAdam, New Brunswick; brothers Leonard (Margaret), of Canfield, Ontario, Larry (Sandy), of Welland, Ontario; sisters-in-law; Ruth Mallett, of Hamilton, Ontario, Ann Glawson, of Port Medway; brothers-in-law; Bill Soper, Al Hurley, both of Brockville, Ontario. He was predeceased by sisters Pearl, Betty; brothers Doug, David; brother-in-law Ken LePierre. Evelyn, so sorry to hear of your loss, my prayers and thoughts are with you and your family during this sad time. I was very sorry to hear about Rudy…our thoughts are with you at this difficult time. Evelyn: We were sorry to hear about Rudy. Our thoughts and our prayers are with your family. Dear Evelyn and family, Very sorry to hear of Rudy’s passing. My thoughts are with you at this sad time. Hi, cousin, I am so sorry to hear about Rudy, my prayers and thoughts are with you and Ruby Anne and family. take care, love you. We were sorry to hear of Rudy’s passing, our sincere sympathy to all of the family. So sorry for your loss Thinking of you at this sad time. We were so sorry to hear of Rudy’s passing. We’ll always remember the good times we all used to have on the Old Garden Road and in Yarmouth at the militia reunions. Take care, and remember the good time. Those are the memories we need to cherish. Dear Evelyn and family,So sorry to hear of Rudy’s passing.My condolences. May he rest in peace. Evelyn, so sorry to hear about Rudy,our condolences to you and family. HUGS. Dear Aunt Evelyn and family, We are all so sad to hear of the passing of Uncle Rudy, a man that will never be forgotten. He would always put a smile on on everyones face, and a smile that he carried himself. All the fun times that we were able to share with him is the memories that we will hold dear to our hearts. May he rest in peace. We are so sorry to hear of Rudy’s passing. Being together through such a long illness, we hope that you found many sunny moments together through what must have been at times an ordeal. Fond thoughts of you and your family as you say ‘good bye’ to Rudy. Please know that we share in your sorrow and lift you up in prayer at this difficult time. Evelyn: So sad to lose Rudy and we know that you have had a difficult time during his illness… We remember his playing and singing at many events. Gerald says he has Rudy’s shirt to remember him by and that shirt has been on stage at a lot of country shows. Many will remember his talent. Our thoughts are with you. Evelyn , Ruby Ann and family we are so sorry for your loss. I am sure you will miss him along with many people. His talent was very wide ranged with his carvings and music many will share his loss. Evelyn and Family, So sorry to hear of Rudy’s passing.I will always remember him especially when we played guitars together,and have a little sing song.You will always be remembered .Our thoughts and prayers are with the Family in this time of sorrow! !RIP Rudy!! I am so sorry to hear about your loss, I will always remember the good times we had, when you visited in Brockville. We were blessed to have you both in our lives. Please accept our deepest sympathy, from all of us in the Soper Family. So sorry to learn of Rudy’s passing. May he rest in peace. You are in our thoughts……. So sorry for your loss, God is with you. we very sorry to hear about Rudy passing our .Prayers and thoughts are with you and your Family at this time. Our prayers are with you at this time of sorrow. I have not seen Rudy since we were children. Your good memories will last forever. Evelyn we are so sorry to hear of Rudy’s passing. Our thoughts are with you and your family at this sad time. May the days ahead be a little less heavy for you and your family. Rudy was loved by a wonderful, caring, wife and a supportive family. May you find strength and peace at this trying time and our thoughts are with you. For days we will never forget and memories of plenty. Dear Evelyn we are so sorry for your loss. He suffers no more. Our deepest sympathy to you and your family. So sorry to hear of the passing of Rudy, condolences to you and your family.